1962. Pastel on paper. 21"x28". 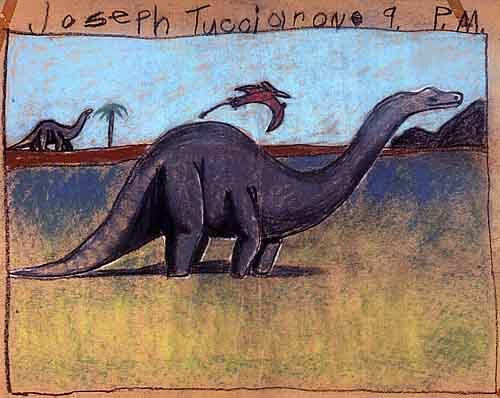 When Joe was 9 years old he drew this, his first dinosaur picture, one Saturday afternoon in an art class for children at the Butler Institute of American Art in Youngstown, Ohio. This "masterpiece" was done with pastel chalk on paper.